Sony’s 5.1 sound bar with wireless rear speakers and subwoofer HT-RT5 will be available in Singapore next month (October). The 550W compact system brings together the convenience of a three channel sound bar with wireless sub and rear speakers, and offers an authentic home cinema surround sound experience. The slim, stylish 3-channel main unit fits discreetly in front your TV or can be wall mounted. The main unit includes a dedicated centre speaker that assures crystal clear dialogue and transparent treble, regardless of volume. It is combined with two wireless rear speakers and a separate wireless subwoofer. Each speaker connects automatically, with no loudspeaker cables needed. You would need four power points though. The system comes supplied with a microphone to test your room’s acoustics using Digital Cinema Auto Calibration DX ensuring the best possible sound wherever the speakers are placed. You’re rewarded with 5.1 channels of immersive audio, with solid bass response that draws you in to the heart of the action. Today’s high-quality listening formats are naturally catered for, with support for HD audio sources like DTS-HD and Dolby True HD. Besides movie binging, the HT-RT5 can also be used for your music entertainment. It works with over 100 online channels such as Deezer, Spotify and Google Play Music. There’s also support for Google Cast support. There’s NFC support, and Bluetooth compatibility, so it is easy to pair with your smartphones or tablets too. If you use a Sony device, LDAC lets you transmit higher fidelity audio data for clearer sound. 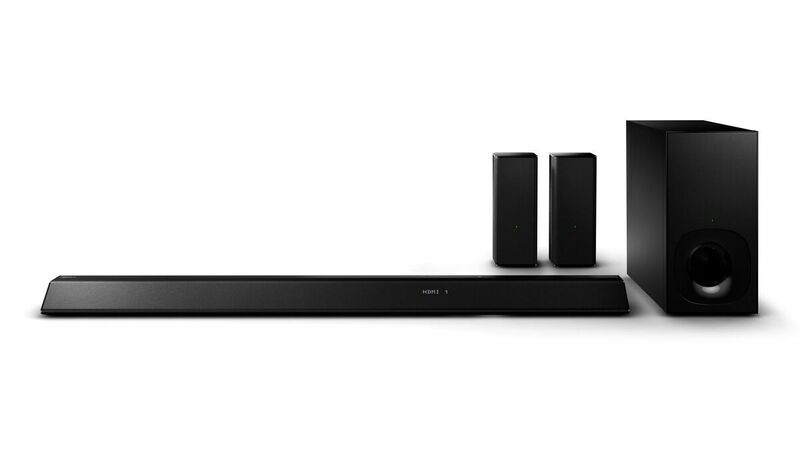 The HT-RT5 Sound Bar will be available in all Sony stores and authorised outlets from October 2015 onwards at a recommended retail price of S$999.